During the 1800s, the land that would become Oklahoma was in flux. During the early part of the century, the land was owned by France. Over the next 100 years, it would be part of Texas, Arkansas Territory, Indian Territory and Oklahoma Territory. Because of this constant shifting, the future state was largely ignored until the 1880s. It served as a passage between Kansas and Texas, as well as a haven for outlaws. With very little law came great opportunity for outlaw holdups. The only transportation that really existed back then revolved around the horse and wagon. Those carrying large reserves of gold made easy targets for outlaws, as pulling the wagons slowed down the money trains significantly. While many of the outlaws got away with "highway robbery", others were forced to abandon their ill gotten gains for one reason or another. The easiest way to make loot vanish was to bury it. In many cases, these stashes of treasure were nearly forgotten about, such as the ones in these stories. 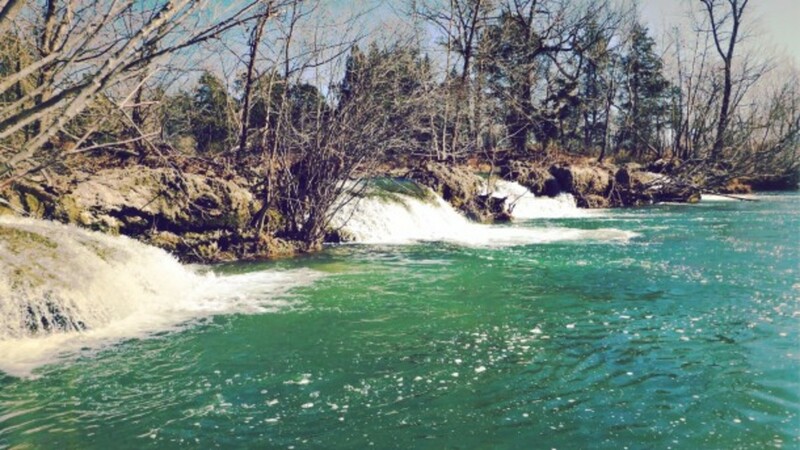 The land along the Blue River near Durant, Oklahoma is rife with treasure tales from the 1800s. The first tale dates back to before the Texas Revolution. It begins around 15 years following the Louisiana Purchase and only nine years after Mexican independence from Spain. During this time, Spain had made very little progress expanding north. Northern Mexico, including Texas, was sparsely populated. Roads were almost non-existent. Still, trade between the few towns was in full bloom. As was common during this time, gold was moved between neighboring towns by mule. Barrels or bags of gold would be loaded on to wagons. This made a tempting target for many early day outlaws. A heavily laden cart was held up during one of these gold transfers in 1819. For several years, a gang of Mexican outlaws had terrorized what would become northern Texas, parts of Oklahoma and even up in to Missouri. When they came across the transfer cart, they couldn’t resist. After holding it up, they discovered a heavy iron-bound chest filled with gold. In today’s economy, it would fetch more than 1.3 million dollars. It didn’t take long to liberate the treasure. After securing the loot, the outlaws made their way north, into Oklahoma near present day Durant. They stopped and set up camp along the Blue River about 10 miles north of Durant. While there, they were discovered. Because of their wide reign of terror, locals got together and ambushed them. When the outlaw leader saw this mob approaching, he ordered his men to bury the chest by the river. They made quick work of it and once finished, scrambled to escape. Despite their best efforts, the mob was upon them and cut down most of the outlaws. The few that survived the initial ambush died within weeks, leaving nobody left to tell the tale of the buried treasure. Another tale comes several years later, this time originating with the American Civil War. During a heated battle in Kansas, two Federal supply wagons were captured by Confederate forces. Each wagon carried two large barrels of gold coins. As they made their escape with the newly found loot for the Southern cause, they counted themselves lucky. Unfortunately for those Confederate troops, their luck would not hold out. As they made their way south across Oklahoma heading for Texas, they were ambushed by a group of outlaws a few miles north of Durant. The troops were murdered to a man. After the outlaws secured their twice stolen loot, they continued south. Fearful that they would be caught, they hid the gold filled barrels in a cave close to the Blue River, around five miles northeast of Brown. Some legends say that this could have been part of the James gang, however, that is extremely likely as it would have occurred during the Civil War. It is believed that the outlaws were killed within months after hiding the loot. To this day, it has never been found. If it has, nobody has ever come forward with any information. 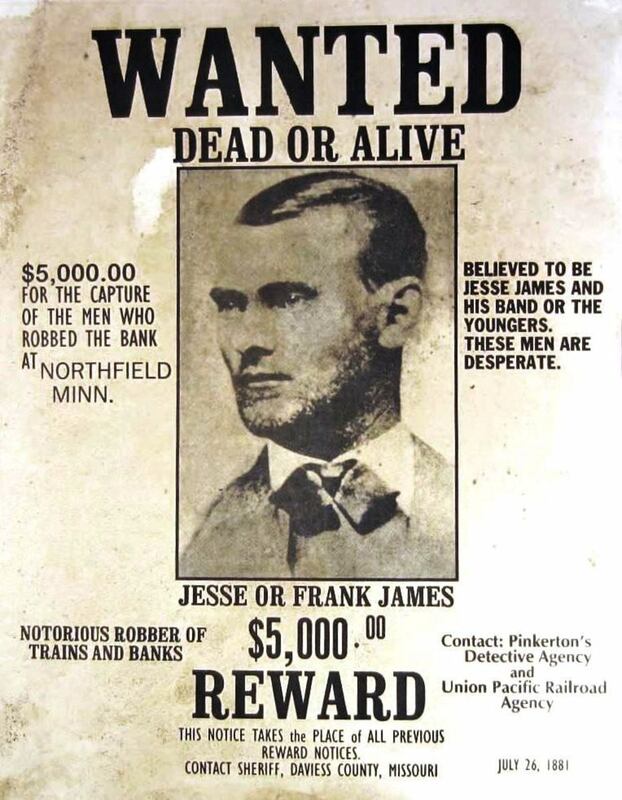 It seems that any treasure tale from the Civil War in this part of the country has to have some connection with Jesse James. 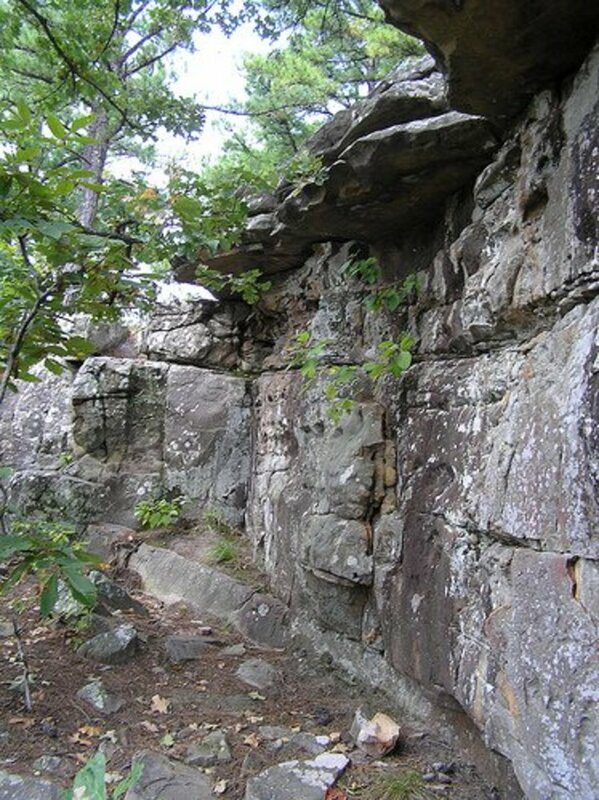 It is claimed that the James Gang had a private cache hidden in a cave nearby. This probably stems from the above legend, but there could be some truth to it. The legend says that the front of the cave was shallow but led to two larger rooms connected by a small tunnel. During one of his famous raids, it is said that he stashed a bit of his loot in one of the rear tunnels. However, during the 1930s, treasure hunters set off explosives in a search to find the treasure. While no treasure was found, this probably eliminated any hope for future hunters. Another tale from the area speaks of boats traveling along the Blue River. Many times, these boats were used to transport gold as well. It has been proven that boats plied the Blue River, and occasionally, individual pieces of gold have been found. A story also speaks of a treasure chest that was found in 1931, however, that has not been proven. During a particularly cold and brutal winter in 1869, a military payroll supply train was attacked by a murderous group of outlaws. Soldiers left Fort Leavenworth in Kansas earlier that month to transport the payroll to Fort Arbuckle in Oklahoma. While in route, the caravan was attacked by a group of seventeen outlaws near the mountainous area of Mill Creek. The attack was quick and vicious. In a matter of moments, all of the soldiers had been massacred, along with five of the outlaws. 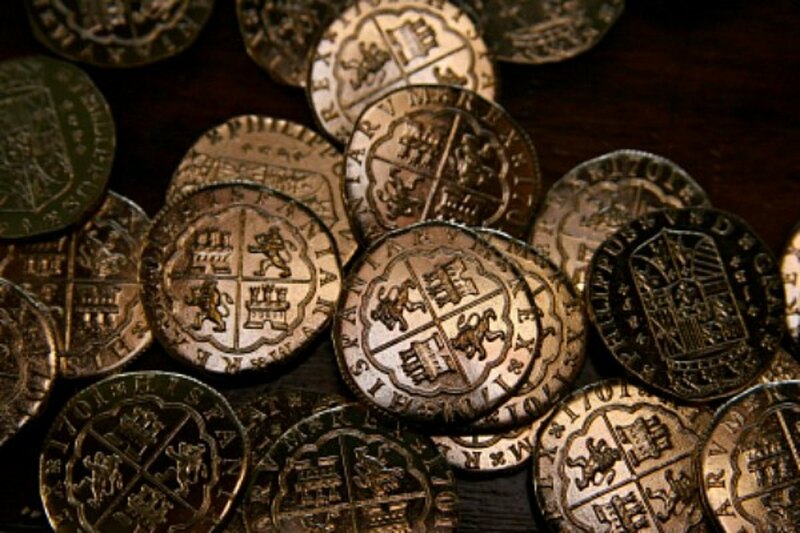 Counting themselves lucky, the remaining twelve outlaws loaded the loot of gold and silver coins onto pack mules and began to stage the battle. Because the area was known in the past for attacks by Native Americans, the group arranged the remaining wagons from the army caravan into a circle. Their hope was that if anyone came across the scene, they would think that the soldiers had set up the ring in a defensive position. The outlaws set fire to the caravan before riding away. Local stories claim that they followed Mill Creek to the south. After a few miles, when they were far enough away from the scene to be reasonably safe, they divided up the loot into three piles. Two of those piles were put into satchels and metal pots, and then buried on the banks of Mill Creek, to be retrieved later. The largest pile was loaded back on to the mules, stored inside metal cans. From their location on Mill Creek, they headed deep into the Arbuckle Mountains. Still leery of U.S. Soldiers finding them, they wanted to put as much distance between them and the site of the attack as they could. While in the Arbuckle’s, they made camp inside a large cave where they discussed their options. Finally, they decided to bury the remaining gold in the floor of the cave and return for it two later. After burying the cans filled with gold, the next morning the group of outlaws split up. One group rode north into Missouri, one group headed south into Mexico, and another Headed east into Arkansas. While holdups and robberies were fairly common around Oklahoma during this time, very few outlaws had the guts to take on the U.S. Army. Whether their attack was by accident, not knowing that the caravan was part of the army, or if they just saw what they thought was an easy target, we may never know. However, with an amount of loot that big, the army was going to do all they could to retrieve it. The group that headed towards Mexico crossed the border and never returned. The group that headed towards Arkansas was caught by the army and slaughtered to a man after putting up a brief, but deadly fight. The group that headed towards Missouri was also caught. The army had received word of their whereabouts and set up an ambush. This resulted in another brief firefight that left the outlaws dead, save one man. 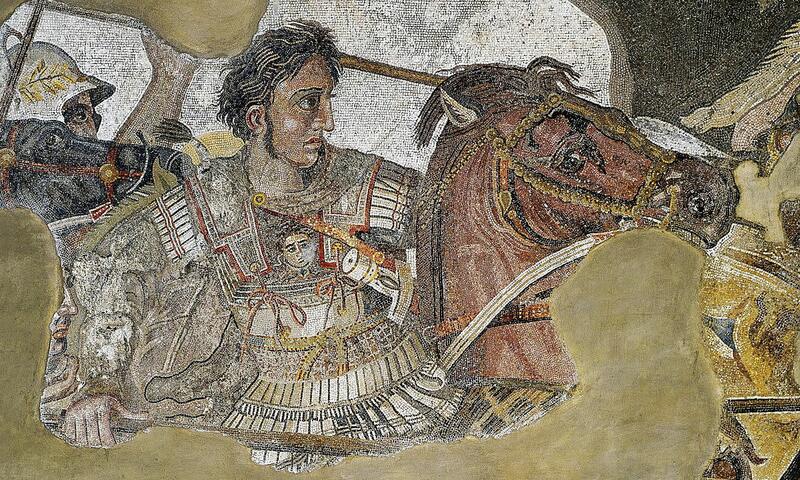 He was wounded early in the fight and had tried to crawl away, but was still apprehended by one of the soldiers. After interrogating the outlaw, the soldiers still never learned of the exact location of the loot. The man was sent to prison, where he spent 19 years behind bars. After he was released, he took up residence in St. Joseph, Missouri. Growing close to death, he finally confided in his caretaker. He drew a rough map that outlined where the gold could be found. 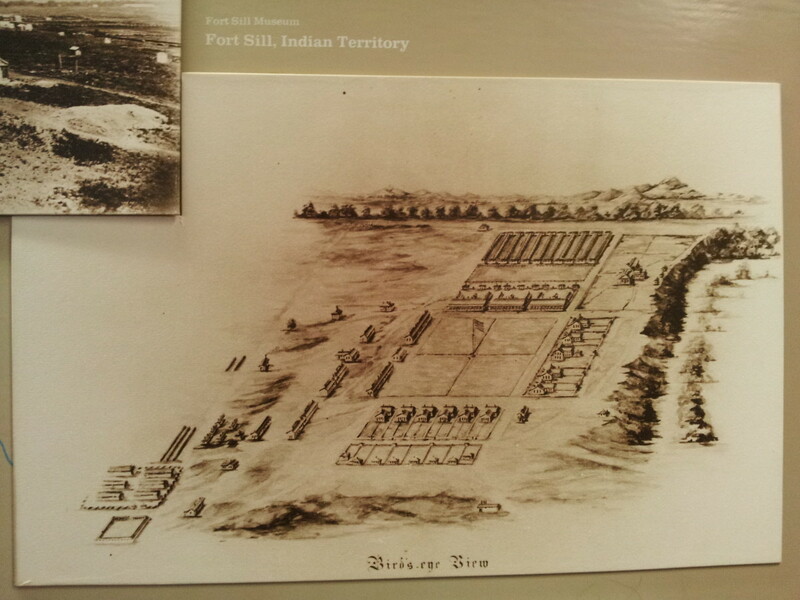 The map showed the location of the fort, the creek, and the locations where the gold and silver could be found. Following the outlaws death, the caretaker moved to Davis, Oklahoma where he would spend many years searching for the treasure. Having no luck, he then passed the map on to his good friend, Samuel H. Davis. Samuel Davis was the founder of Davis, Oklahoma. Davis had come to Indian Territory in 1887. He operated a successful dry goods store there, and was instrumental in bring in the Santa Fe depot. He applied for a post office to be established there in 1890. While he had heard legends of the buried loot, he never took them seriously until the arrival of the caretaker. Once he had the map, then he would occasionally take forays out to seek the buried treasure. During one of these outings, he met a rancher who owned property along Mill Creek who was well aware of the legends. Several years earlier, a group of Mexicans had come to him with a request to fish on his property. The rancher became suspicious when he noticed that the Mexican’s didn’t have any fishing equipment. Instead, after returning to visit with them, the rancher found several holes dug up along the creek bed. In one of the holes, there was an empty can. It appears that the descendants of the outlaws that traveled to Mexico had come back for the unclaimed loot. While Davis continued to look sporadically for years to come, no other evidence exists that the gold had been found. 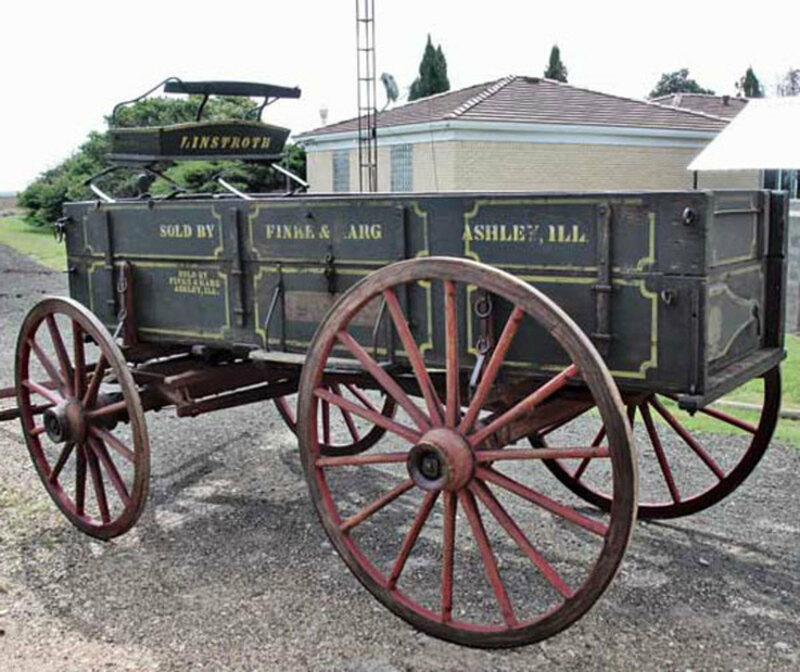 Wagons, similar to the one pictured here, would have been used by the military to transport goods throughout Oklahoma. During the 1800s, the made mode of transportation across Oklahoma was still by horse and wagon. While the east was seeing huge advancements in the railroad, Oklahoma was still considered the Wild West. In 1892, outlaws began a daring robbery of a payroll coach bound for Fort Sill. 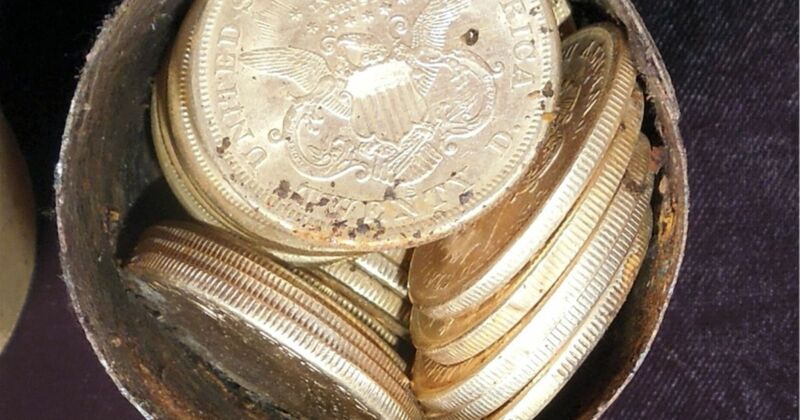 The wagon left out of Wichita Falls, Texas early that morning and was making its way across Oklahoma containing around $100,000 worth of gold and silver coins. The money was intended to provide the month’s payroll for the soldiers in Ft. Sill. This was a route that had been taken many times before and was considered safe. However, that morning, it was anything but. The soldiers continued on at a slow pace, anticipating arrival at Ft. Sill. Caught unawares, three outlaws ambushed them from behind a thick strand of trees. After they killed the horses, they quickly subdued the driver and two guards. One of the guards had been injured by gunshot, so he was easily overtaken. Without more backup, it was easy to subdue out the remaining two. The outlaws ordered the men off the wagon. The driver and wounded guard complied, but the third guard wasn’t ready to give in just yet. He quickly grabbed a shotgun and began firing. He killed two of the outlaws and hit the third in the shoulder and chest. The wounded outlaw fired back, killing the guard instantly. Although wounded badly, he ordered the driver and guard to lay down face first on the ground. He then transferred six saddlebags filled with gold coin to his horses, tying them on to those of his dead comrade’s mounts. Four were filled with gold and two of silver. Once loaded, he fled towards the northeast, intending to reach Oklahoma City by nightfall. Badly wounded, it soon became apparent that he needed medical attention. As Ft. Sill was closer, the outlaw boldly decided to find a doctor there. He arrived just after sunset the following day. Still carrying the coins, he knew he had to get rid of them somehow. While watering his horses, the outlaw decided that that would be as good of a place as any to bury the stolen loot. Now bleeding badly, the outlaw made quick work of hiding his ill-gotten gains. From the well, he strode out ten paces, dug a hole deep enough to hide the saddle bags, then deposited them and tried to remove any trace that there was anything there. After having his horses trample the area, he rode in to Fort Sill. His intention was that he would seek medical attention and then retrieve the bounty on his way back out. The outlaw received the medical attention he needed, but by then it was too late. While he lay in deep sleep recovering from his wounds, news of the robbery spread throughout the region. The wounded guard and driver were already on their way to Ft. Sill, and a great number of men were out hunting for the outlaw. After the driver and guard arrived, they easily identified the horse as the one that the outlaw was riding. The outlaw was quickly arrested. He would spend the next thirty three years in prison at Huntsville Texas. He was finally released in 1925. After some time, he decided that nobody was left watching him and he returned to find the six saddlebags of hidden treasure. 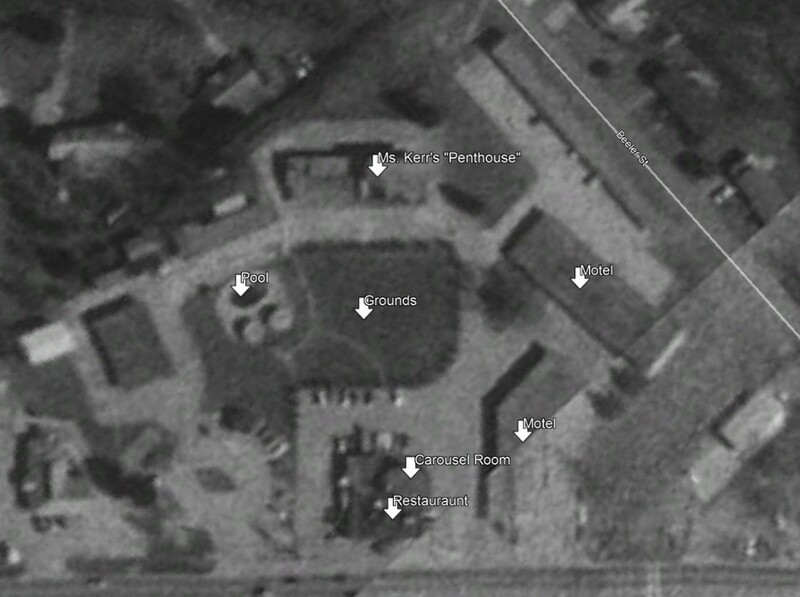 It is claimed that he located the treasure, but during his years of incarceration, Fort Sill had changed significantly. Fill dirt had been brought in which erased any landmarks other than the well he may have used. The former outlaw wandered around the area for a period of time before guards from the fort saw him and escorted him away. He vowed to return one day, but never made it. As with many treasure tales from across Oklahoma, while on his deathbed, the outlaw drew a map of the treasures location and gave it to a trusted friend. G. W. Cottrell was now in possession of the map and decided to try his hand at finding the hidden saddlebags. Still, despite his best efforts, no buried treasure could be found. A further attempt was made in the 1960s when officers from Ft. Sill claimed that they had good evidence showing where the gold could be found. They brought in heavy machinery to try to find it, but the treasure still remained elusive. To this day, nobody has found the buried saddle bags, and probably won’t for the foreseeable future. 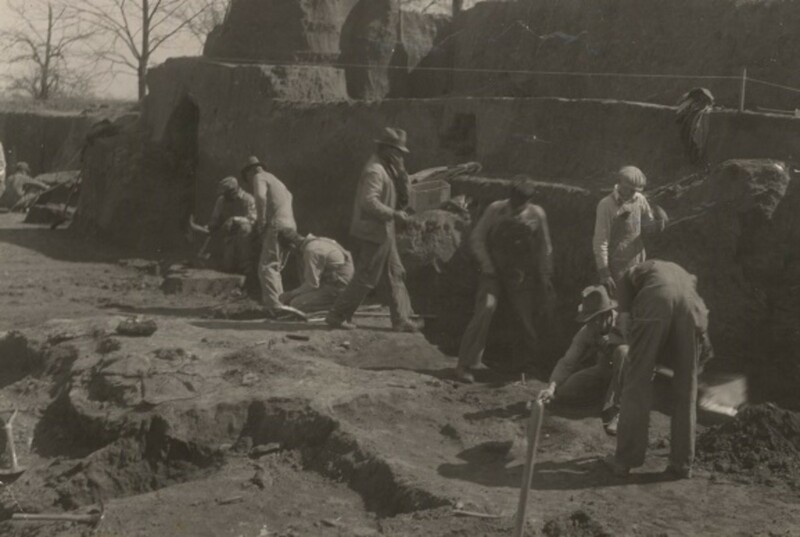 Following the excavations of the 1960’s, no further grants have been issued to treasure hunters to seek out the buried loot. Enjoying your series of articles. 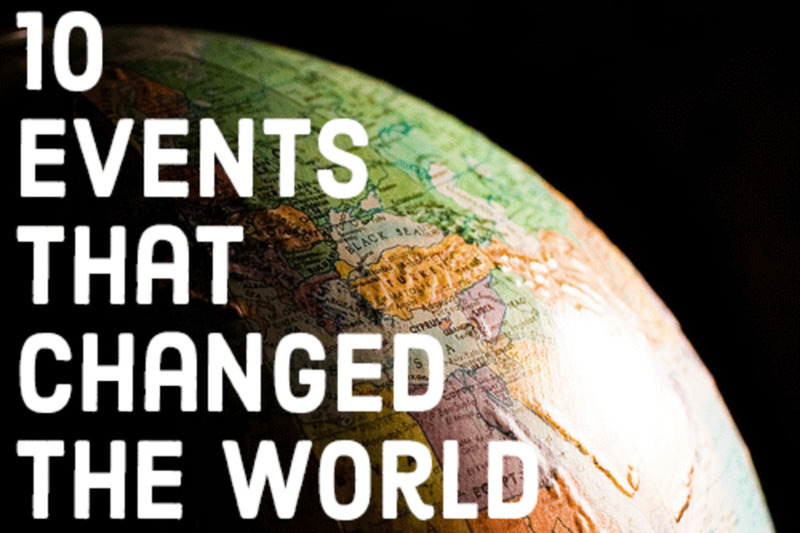 Thank you for sharing these historical tales and adventures. Good read! Sherry, Thanks for the correction! That was an obvious mistake that I somehow missed. One fact in the Ft. Sill story...Wichita Falls is not in Kansas but in Texas!